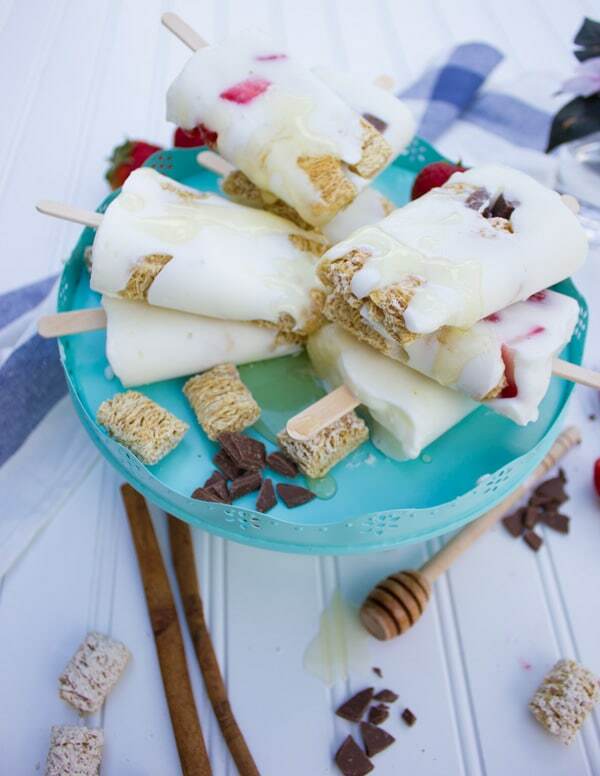 Can you ever get enough popsicle recipes? 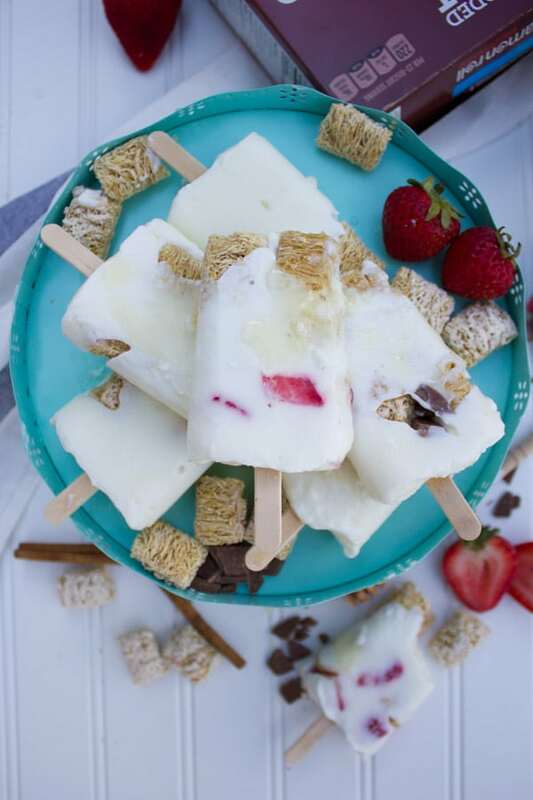 Well, this Cinnamon Roll Crunch Vanilla Popsicle Recipe is the perfect summer breakfast popsicle! 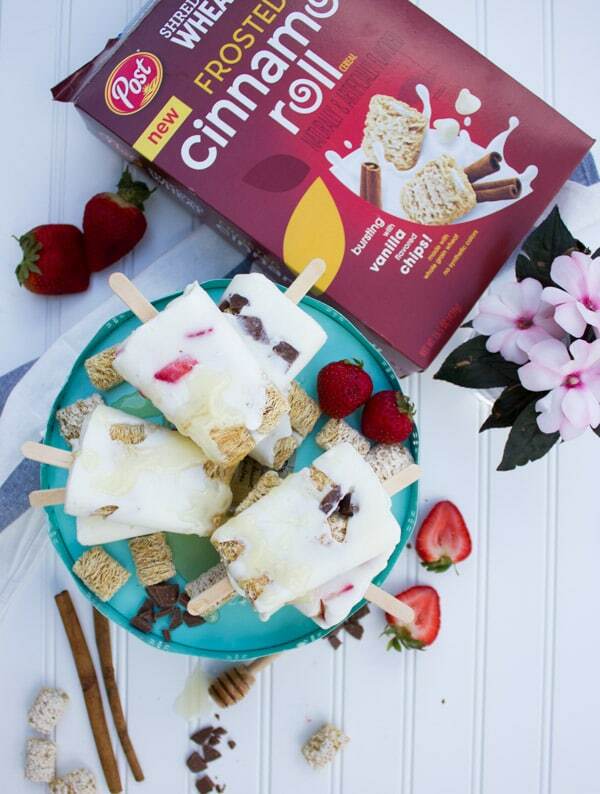 It’s everything you need from a refreshing popsicle with a warm comfort cinnamon roll twist. It’s creamy and smooth, rounded off with a delicate crunch and drizzled with a touch of honey. In other words, it’s popsicle and cinnamon roll bliss! Easy, quick and crazy delicious! There are some things in life you just can’t go without. If everyone had a list of those things, they certainly won’t all be in the same order. However, I’m sure that there will be plenty of common things we all can’t go without! So for example, I’m sure we all have a thing for cinnamon rolls. Like no matter what kind of lifestyle I’m following, I know a cinnamon roll will always melt my heart and put a smile on my face! It’s just comfort. Lots of comfort. I also know you’re probably thinking who can afford to enjoy cinnamon rolls that often? 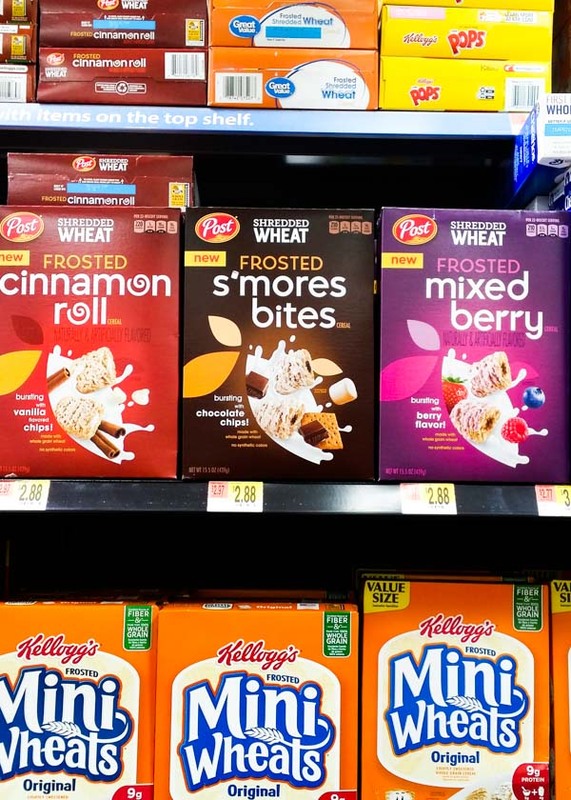 I will say honestly, I went to Walmart last week to pick up the Post New Shredded Wheat Frosted Cinnamon Roll cereal. I was skeptical it would taste like cinnamon rolls, I thought it would taste like a cinnamon cereal. BUT oh my gosh these blew me away! And you can quote me on that all you want! These REALLY do taste like a cinnamon roll! 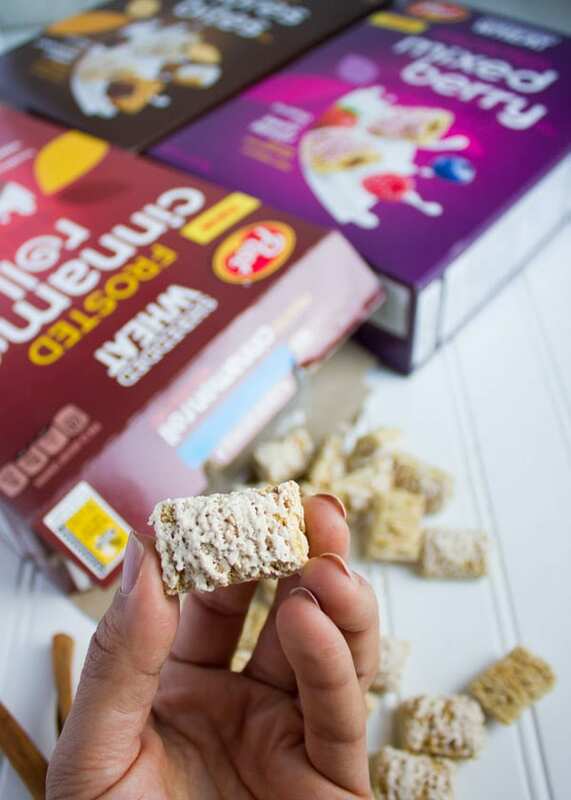 It’s like cinnamon frosting, vanilla flavor in the middle with 100% whole grain shredded wheat! For me, these have become my non guilty pleasure! And the beauty of Post cereals is they go beyond breakfast cereal. Do you remember those Ultimate Blueberry Raisin Bran Muffins (the best and most tender bran muffin you can ever have!) and those Fruity Pancakes (made with Post fruity pebbles—My girls’ favorite!)? 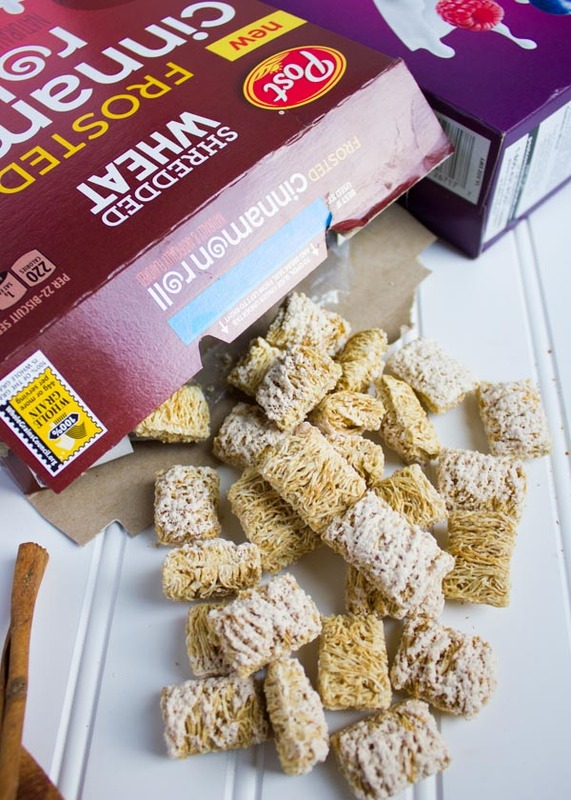 When you leave your cereal like that, it suddenly becomes your favorite snack, your favorite thing to throw in whatever you’re baking and there’s no limit to how you can enjoy it! 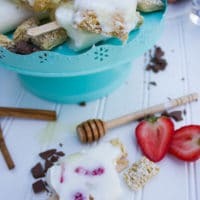 Best things is, this popsicle recipe is just as easy and much quicker than most other popsicle recipes! So it’s a perfect excuse to TRY this recipe asap 🙂 And while this popsicle recipe is perfect as it is, seriously perfect. I felt like why not add in some chunks of goodies like chocolate chip, banana chunks and strawberry chunks. Ok I’ll admit it was my daughter’s suggestion, and I’m SO happy I gave that a try! Again, it’s certainly totally optional. 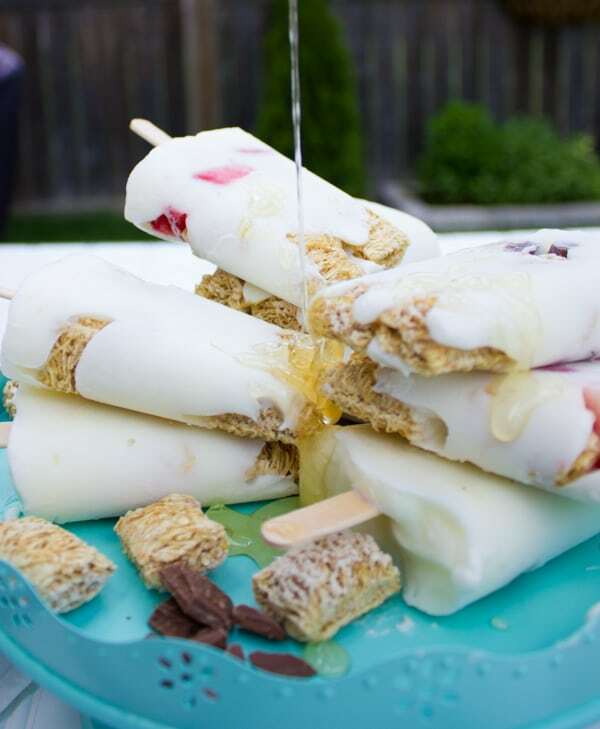 But it does add an extra layer of texture and flavor to the popsicle recipe, and that’s always a good thing! So here’s the breakdown of this simple yet divine recipe! 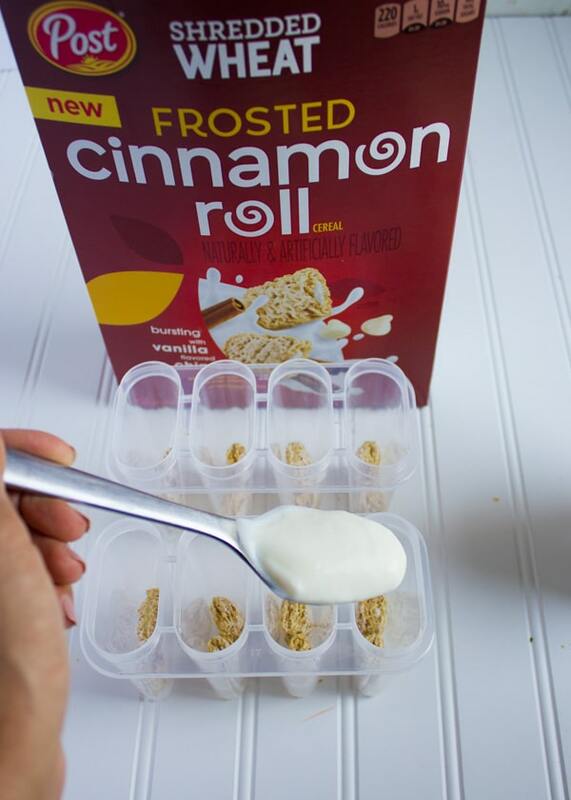 Place 2 pieces of your Post New Shredded Wheat Cinnamon Roll cereal at the bottom of the popsicle molds, and then dollop some creamy vanilla yogurt (go exotic and try some coconut yogurt, or go vegan and use dairy free yogurt!) 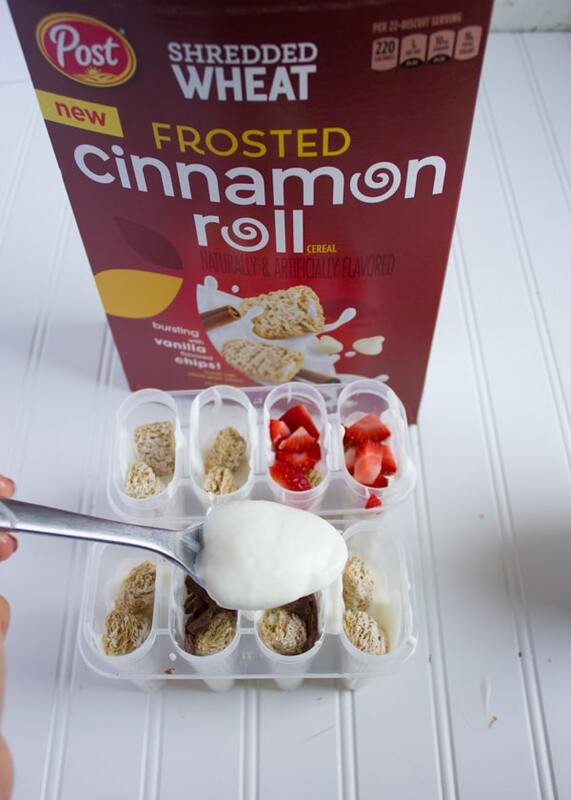 then place another 2 pieces of your Post New Shredded Wheat Cinnamon Roll cereal, some chocolate chunks, bananas or strawberries if you’d like, and finish off with more vanilla yogurt. Insert the popsicle stick in the middle and all the way through the popsicle mixture and then freeze them! Once they’re out, you’ll want to run some warm water on the outside of the mold so the popsicles release easily. Then drizzle them with a touch of honey (again optional, but seriously GOOD) and enjoy right away!! These will disappear off your table, I promise! 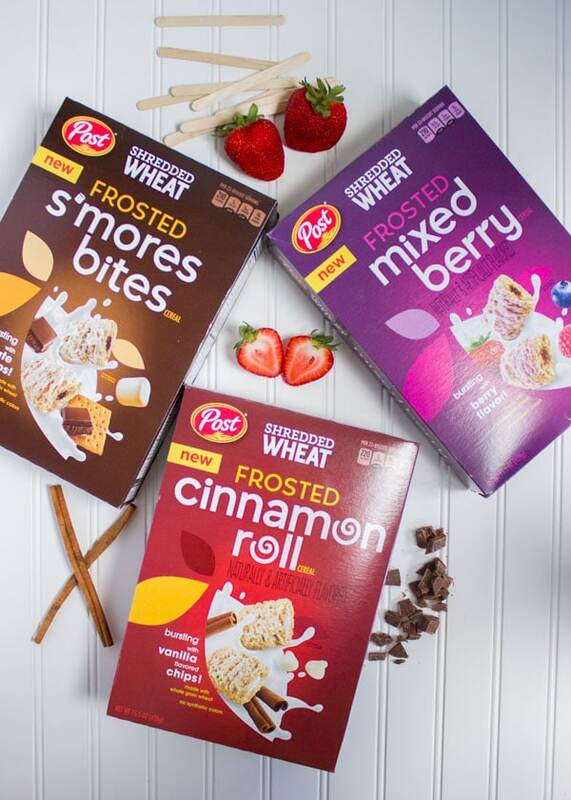 So make plenty and try using the other Post New Shredded Wheat Cereals too which you’ll only find at your local Walmart! And guess what–I have an amazing 1$ off to get you started on these delicious babies! 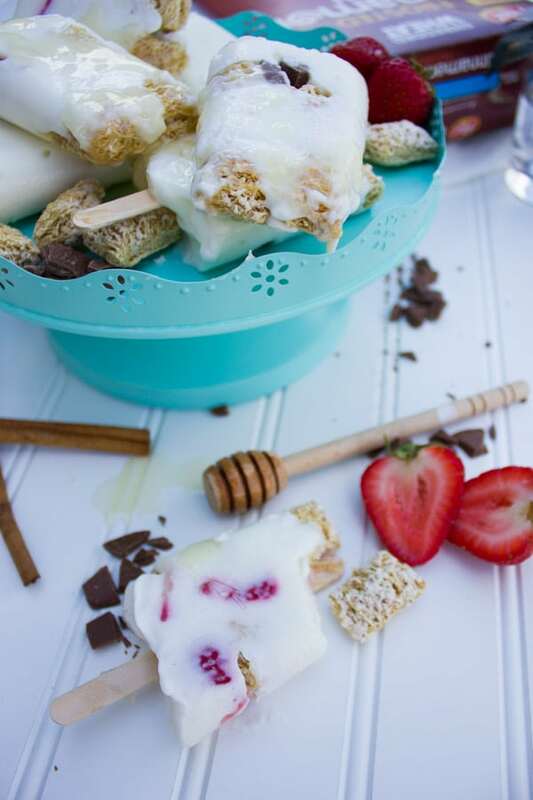 This Cinnamon Roll Crunch Vanilla Popsicle Recipe is the perfect summer breakfast popsicle! 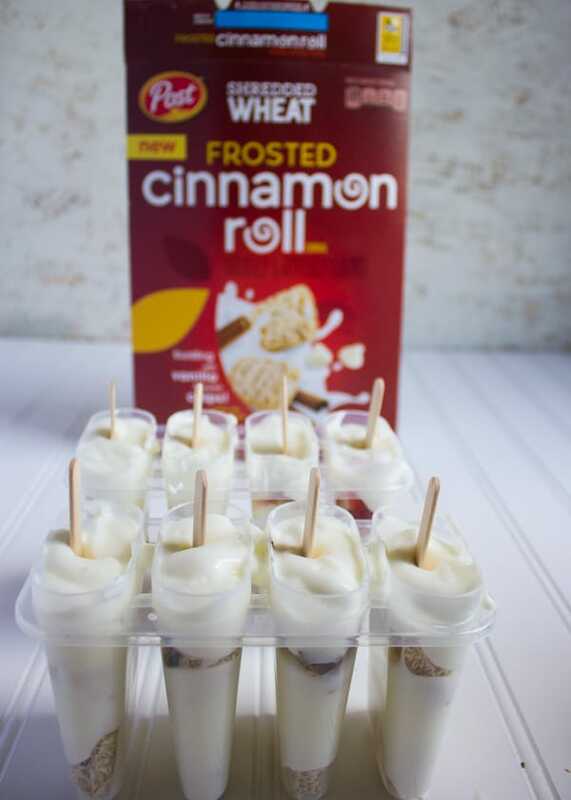 It’s everything you need from a refreshing popsicle with a warm comfort cinnamon roll twist. It’s creamy and smooth, rounded off with a delicate crunch and drizzled with a touch of honey. In other words, it’s popsicle and cinnamon roll bliss! Easy, quick and crazy delicious! Take your popsicles molds and make sure they’re dry. 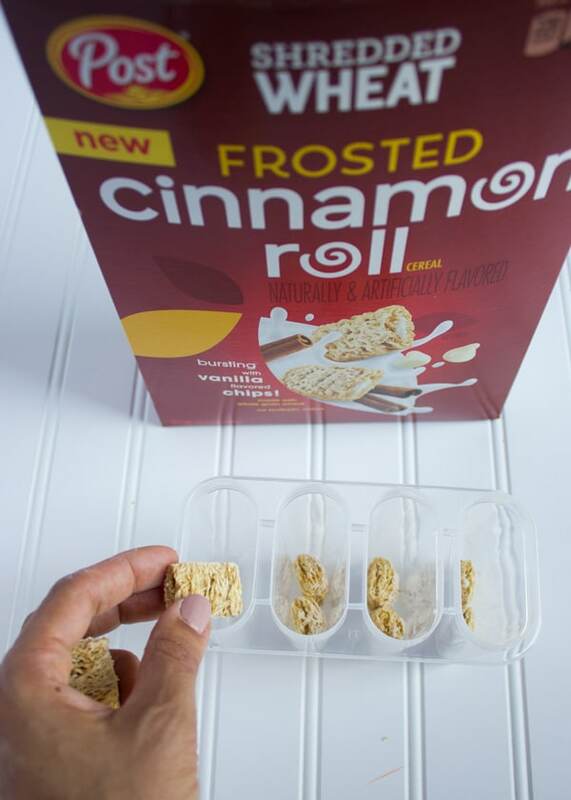 Place 2 pieces of your Post New Shredded Wheat Cinnamon Roll cereal at the bottom of the popsicle molds. 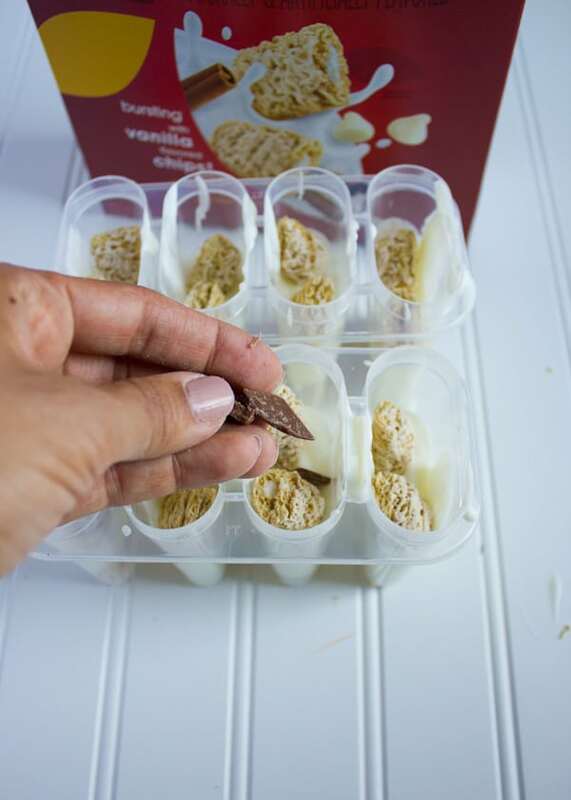 I prefer to have the cereal placed vertically, that way the crunch is even. Dollop about 2 tablespoons of vanilla yogurt over the cereal and then shake the molds slightly to have the yogurt stick to the cereal. 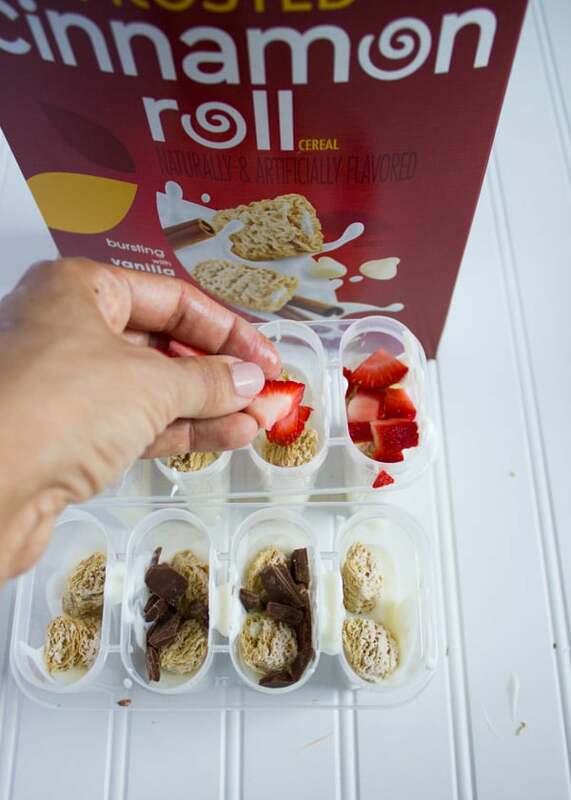 Over the yogurt layer, place another 2 pieces of your Post New Shredded Wheat Cinnamon Roll cereal, some chocolate chunks, bananas or strawberries if you’d like, and finish off with more vanilla yogurt. Insert the popsicle stick in the middle and all the way through the popsicle mixture and then freeze them for at least 2 hours. Once the popsicles are ready, run some warm water on the outside of the mold so the popsicles release easily. 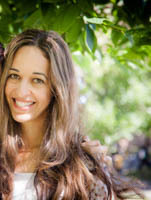 Thanks so much Dawn!! They are truly SO good! !